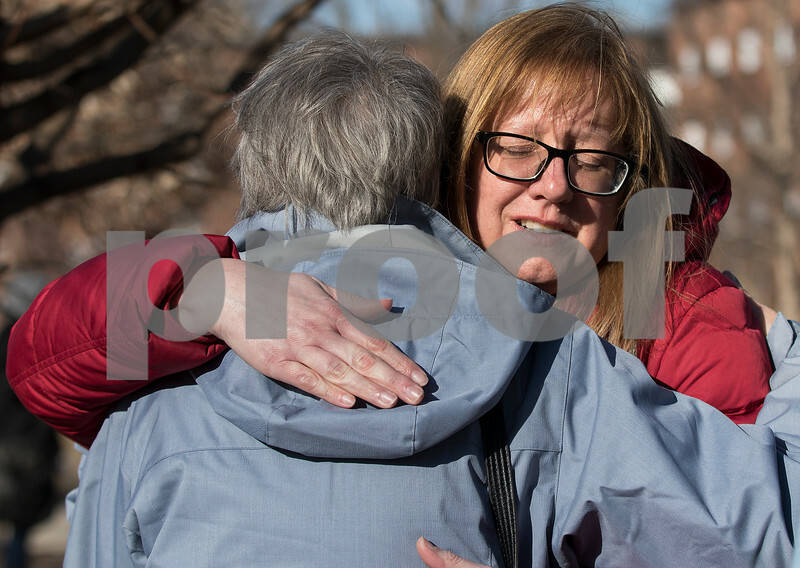 Lisa Coen of Chicago, facing, and Linda Greer of Winfield share an emotional hug during a ceremony outside of Cole Hall on Tuesday, Feb. 14, 2017 at Northern Illinois University in DeKalb. The 9th anniversary ceremony was to remember the lives of students Gayle Dubowski, 20, Julianna Gehant, 32, Daniel Parmenter, 20, Catalina Garcia, 20, and Ryanne Mace, 19, who were killed by a campus shooter in 2008. Coen and Greer are family members of Daniel Parmenter, who was killed in the attack.